Choose One Action to Reduce Impact: Join the 2012 EcoChallenge! 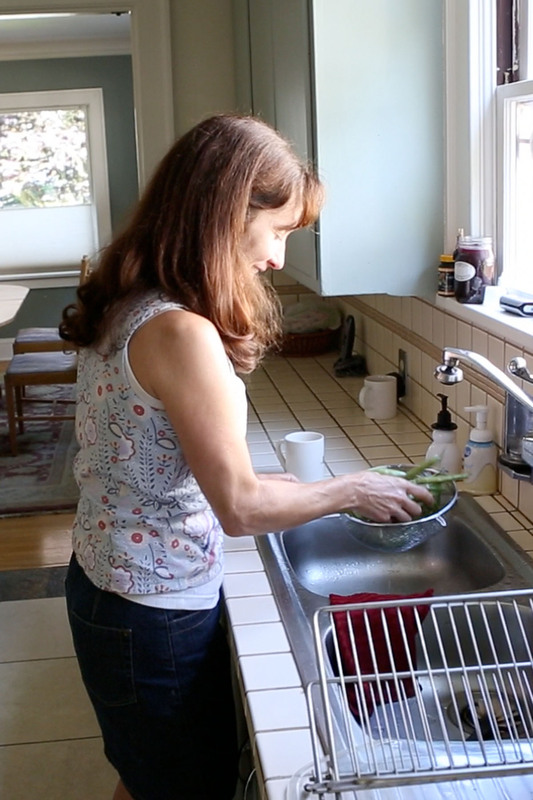 Elise Lind washes local green beans; Elise’s 2011 EcoChallenge was to eat only food produced in Washington and Oregon. Chances are there’s something on your “to-do” list for the planet – whether it’s replacing the front lawn with a veggie garden, installing rain barrels, getting a bus pass or kicking the bottled water habit, most of us have something we’ve been meaning to change in order to reduce our environmental impact, save money and live better. 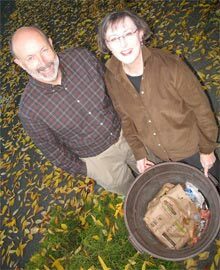 This October 1-15 is the perfect opportunity to seize the moment and change your life for good by joining the Northwest Earth Institute’s annual EcoChallenge. During the EcoChallenge, participants choose one action to reduce their environmental impact and stick with it for two weeks. Ecochallengers pick a category—water, trash, energy, food or transportation—and set a goal that is fun, stretches their comfort zone and makes a difference for themselves and the planet. Everyone who logs at least 10 successful days of the challenge or raises more than $50 is eligible for raffle prizes including gift certificates for green retailers, service providers and restaurants. Past EcoChallenges include: not driving a car for two weeks, doing a “100 mile diet,” and cutting household trash by 80 percent. Sarah Crump opens her portable trash bag; Sarah’s 2011 Ecochallenge was to carry all of her trash with her at all times. The EcoChallenge is the perfect opportunity to move from “I should” to “I am!” Instead of struggling to change on your own, the EcoChallenge gives you built-in support from thousands of other participants and fun and easy ways to share stories with friends and family. In fact, most EcoChallengers discover that what starts as a two-week challenge becomes a lifetime of meaningful change. Based in Portland, Oregon, NWEI is a nonprofit organization whose mission is to inspire people to take responsibility for Earth. By creating dialogue and inspiring action, the Northwest Earth Institute helps people make lasting changes in their lives, communities and the planet. The EcoChallenge (launched in 2009) is our annual event to help people kick-start change and inspire friends and family. This week we are excited to share a video clip highlighting Mark’s EcoChallenge: to cut home energy usage and use cloth diapers while raising a new born. Watch the clip for inspiration and if you haven’t already, join us in choosing one action to reduce environmental impact and stick with it for two weeks from October 1-15th. We know change can be tough and sometimes it takes a kick-start to make it happen. Common wisdom says it takes two weeks to change a habit: if you can stick with a new behavior for 14 days in a row, you’re a lot more likely to keep it up for good. Rich parked his car for two weeks. Carrie cut her family’s trash by 80%. Steve set up a grey water system and saved 150 gallons of water. What will you do? Click here or below to watch the video and click here to register! The 2012 EcoChallenge is fast approaching! The EcoChallenge is an opportunity to change your life for good. For two weeks every October, the Northwest Earth Institute challenges you to change one habit for Earth. You choose your challenge (water, energy, food, transportation or trash), we connect you with other EcoChallengers, and collectively we prove that small actions create real change. Watch this short video of Sarah discussing her trash reduction EcoChallenge for ideas and inspiration and sign up today at www.ecochallenge.org. Northwesterners: Enroll in Paperless Billing Before August 31st & Support NWEI! Reminder! Help the environment, support NWEI and enter for a chance to win an iPad® from our partners at NW Natural when you enroll in their paperless billing program before August 31st. Between July 1 and Aug. 31, 2012, NW Natural customers can cast their vote for one of four local environmental nonprofit organizations to receive a portion of a $25,000 donation by enrolling in paperless billing. Currently NWEI is in second place and in a great position to receive financial support! Please help us by casting your vote if you haven’t already. Cast your vote for NWEI when you sign up for NW Natural’s paperless billing today! Thank you for your support! EcoChallenge 2012 Is Almost Here! Its that time again! October 1-15th brings NWEI’s 5th Annual EcoChallenge: an opportunity to change your life for good. For two weeks every October, we challenge you to change one habit for Earth. You choose your challenge, we connect you with other EcoChallengers, and collectively we prove that small actions create real change. 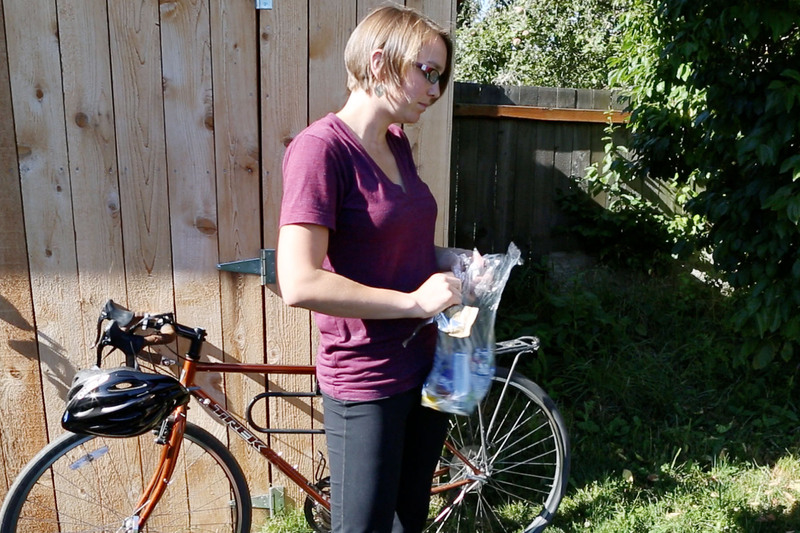 Check out this EcoChallenger Profile Video for ideas and to learn about NWEI volunteer Elise Lind’s Challenge from last year: to eat only food produced in Oregon and Washington. Then, choose your own challenge and sign up to participate now. We look forward to your stories of change to come! Thanks to NWEI volunteer Erin Butler for the following Guest Blog post as well as for sharing this information on sustainable wineries in Oregon and Washington. 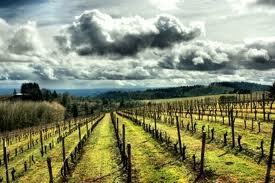 One of the many pleasures of living in the Pacific Northwest concerns our wine culture and proximity to vineyards. Is there any way to make this experience even more pleasurable? How about knowing all the strides Oregon winemakers are taking to make their product more environmentally friendly? The majority of Oregon winemakers see themselves as stewards of the land; after all, they derive their livelihood from the fruits of the earth. While LEED is a fairly familiar word in sustainability, other buzzwords abound in the wine industry. These include LIVE (Low Input Viticulture and Enology), Salmon Safe, OCSW (Oregon Certified Sustainable Wine), and Oregon Wine Industry’s Carbon Neutral Program. Chris Serra, the Executive Director of LIVE, shed some light on some of these different sustainable acronyms and organizations in the wine industry. According to Serra, “LIVE is a certification of vineyards and wineries in the northwest, and therefore has a very specific type of membership, namely vineyard and winery owners and managers.” It’s similar to the LEED certification process but just for the wine industry, where they can “really drill down into the details of winemaking and vineyard management.” LIVE actually partners with Salmon Safe, which is an organization that focuses on certifying ecologically sound watershed management to help native salmon spawn and thrive. So, because vineyards are land, they affect watersheds. If a vineyard is LIVE it is also Salmon Safe. While there are a number of wineries in the Willamette Valley striving for goals in sustainability, Torii Mor, Stoller and Left Coast Cellars are a few operations of note. Check them out the next time you’re in wine country. Torii Mor: Located in Dundee, Torii Mor is only two of LEED Gold certified wineries in the Willamette Valley. It garnered its 42 points through sustainable site development, water and energy efficiency, material selection and Indoor Air Quality. In addition, Torii Mor is both a LIVE Certified Vineyard and Winery. Part of its certification is from its Gravity flow winemaking process. The winery is built to avoid using pumps that interfere or damage the fermentation process and also avoid using energy to move the wine from tank to tank. An example of the process can be found at Willakenzie’s website, which happens to be the first LIVE certified winery. Stoller: Stoller winery is located in Dayton, and it is the first LEED Gold certified winery in the United States. Like Torii Mor, it integrates gravity flow winemaking techniques in addition to a passive solar design to reduce carbon emissions. The winery is built into the hillside, and in conjunction with air vents, the naturally cool evenings keep this building at an optimal temperature throughout the entire day. In addition, solar panels and wastewater reclamation increase this winery’s sustainability quotient. Stoller is an Oregon Certified Sustainable Wine, Salmon Safe, LIVE and a participant in the Carbon Reduction Challenge. 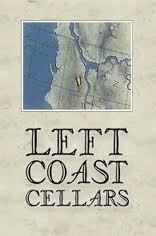 Left Coast Cellars: Located in Rickreall, Left Coast takes land stewardship very seriously. They participated in the Carbon Neutral Challenge (now dubbed Carbon Reduction Challenge) along with 14 other wineries. Aided by solar panels and gravity fed irrigation, this winery was up to the challenge. 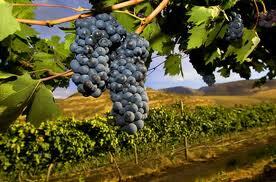 In addition, they consider biodiversity and indigenous flora on their 306 acres, 100 of which are dedicated to grapes. Most of the vines are planted on west facing slopes, leaving 200 for fields of wildflowers, cultivated gardens, old growth white oak trees, fruit orchards and waterways. You can read more about their push for sustainability here. The attention to detail in the landscaping is evident moments after driving through their beautiful gates. With wildflowers and grasses, xeriscaping has never been so beautiful. To celebrate Earth Day, LCC introduced its “Bee Sustainable” Earth Month Pinot Noir. A 1.5 liter magnum bottle can be filled for $45 and refilled for $30. Think of all the wine bottles being saved, not to mention money. These are just a few of the many wineries in the Willamette Valley that are making concerted efforts to be good stewards of the land. Another topic for further study in sustainable wines: urban wineries. You can bike to these! Oregon Wine Press wrote a great article on these ventures.